Escape to the New Forest and stay with us at the Cottage Lodge. Enjoy free tea and cakes, reserved parking and excellent wifi, all from £45pppn mid-week term time. Just call 01590 730 069 to book your perfect room. We offer relaxed time together to create memories and enjoy each others company. Escape the stress of life. See the new foals, arriving all the way through May. Explore Exbury Gardens, alive with world class blooms at this time of year. Walk through landscape unchanged for 1000 years. Eat good food. Drink good wine. Sample the local fare. Stay in a bedroom with hand made wooden beds. Relax. 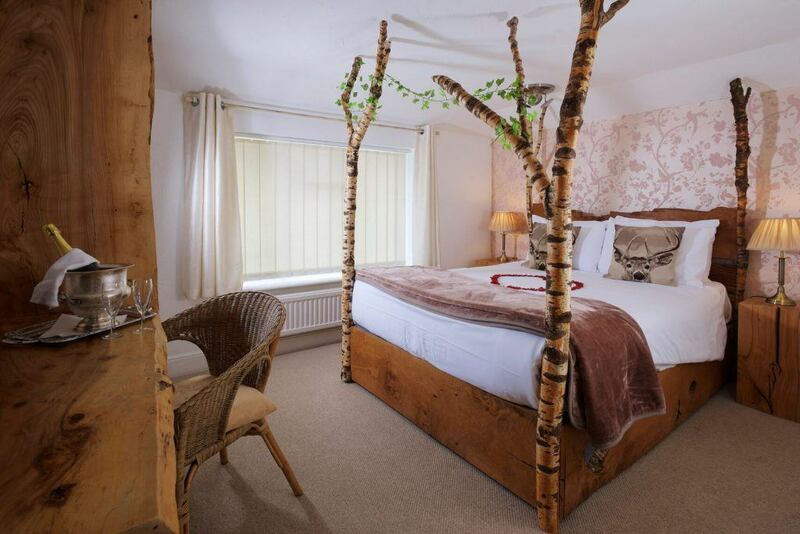 We have 15 beautiful rooms, most with a taste of the forest and furniture created by local tree surgeon Rob Dyer. Rob doesn’t have a carpentry background. But, he has a real flare for creating beautiful furniture that shows off the best of the wood. Our breakfasts are cooked just for you. Stay a few nights and work your way through our delicious menu. Try our New Forest Breakfast, or Eggs Benedict, pancakes, porridge, vegetarian, gluten free, boiled eggs with soldiers, poached eggs on toast, bacon sandwich, and a range of omelettes. All included in the price. Also included in the price is free reserved parking, excellent wifi throughout the hotel, and tea with cakes whenever you want them. Just help yourself. Rob Dyer is hand making this beautiful furniture he does it with flare. The Brusher Mills is his latest four poster creation. It is his most adventurous yet. The dressing table and wardrobe come from an ash tree. The base of the bed is oak and the uprights are sycamore. We hope you enjoy the Brusher Mills. 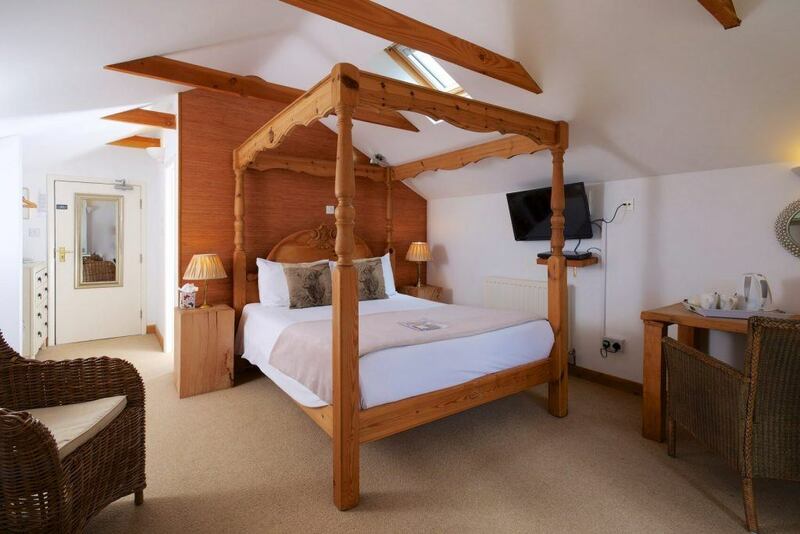 Why not browse our four poster bedded rooms? Call 01590 730 069 to book it now.